Born in Stockholm, Sweden Helena left her native grounds as a teenager to live in Central America, Australia and eventually ended up in the US in 2010. Since childhood she’s been an adrenaline junkie searching for the next thrill; weather it be climbing up trees, skydiving or surfing. She’s always had an interest for aviation but the true passion for flying airplanes didn’t spark until she went on a three-week trip from Montana to Florida Keys in a Cessna 172 with a friend who was a certified pilot. After that, she was completely hooked! 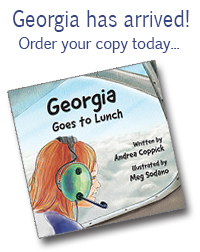 Determined to become a pilot herself she started studying the ground school while saving money. Finally, in 2015, she had saved enough to enroll in an accelerated course and obtained her private pilot’s license only 25 days after her first logged hour. Two years on and her passion for flying has only grown stronger. She takes to the skies whenever the opportunity presents itself, but living in New York City has its disadvantages (busy airspace!). By working towards her instrument rating she hopes to be able to build the confidence and hours to go on a coast-to-coast trip across America. 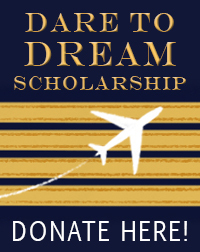 Helena is absolutely ecstatic to be awarded the Dare to Dream Scholarship to help her achieve her next aviation goals. She says that she could never have gotten here without the encouragement and support from fellow female pilots. It’s empowering to have such solid network of intelligent and accomplished women -all rooting for each other!